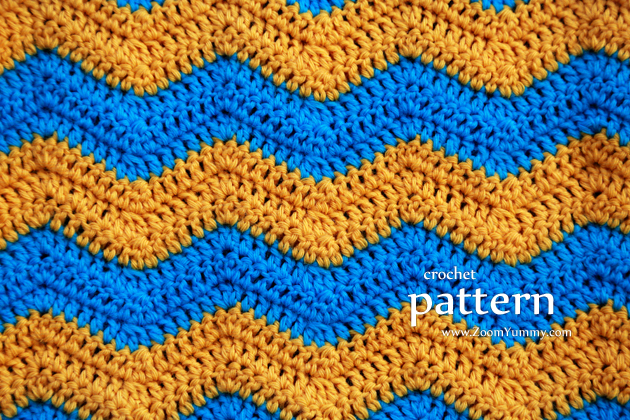 I have a new pattern for you today! 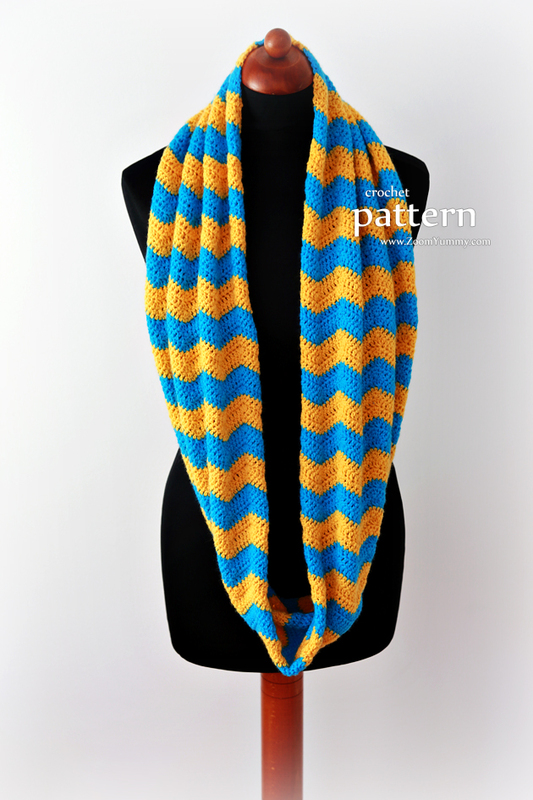 It’s Crochet Chevron Infinity Scarf. 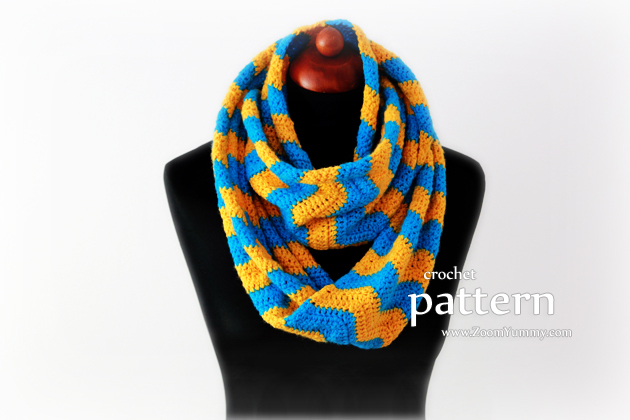 I have been wanting to make a crochet infinity scarf for quite a long time, all I was trying to decide on was the design that I’d like the best. And lately it occurred to me it just has to be chevron. What else?! Those soothing zig zags. The sea or relaxing ripples. Such sweetness. After a quick trip to the shop to find nice and contrasting couple of yarn colors I set of to work. 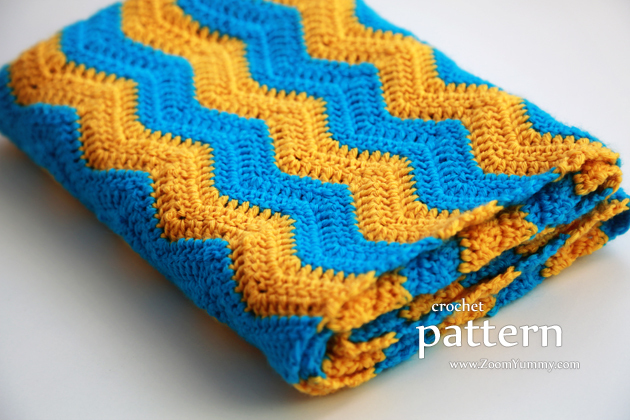 Frankly, every time I work on a chevron pattern I wish the project just never ended. There’s something very magical about this pattern. 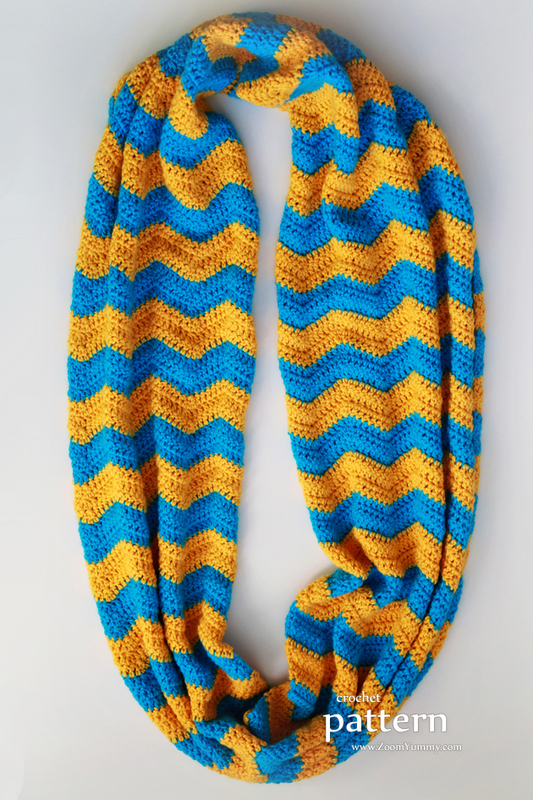 Sooo, if you’d like to learn more details about this project, you can find the description and the pattern itself HERE and HERE.